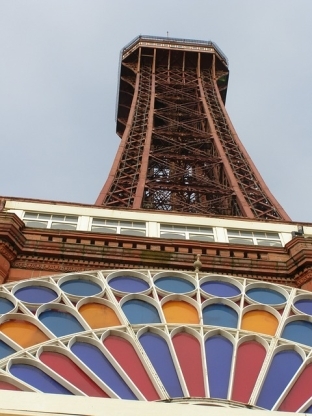 More than 120 years after it was built, Blackpool Tower has won a heritage award. The structure was given the first North West Civil Engineering Heritage Award by the Institution of Civil Engineers (ICE). ICE said the tower was “possibly the most instantly recognisable work of civil engineering in the country” and “all about having fun”. It beat 12 other entries including Manchester’s Victoria Station. The £44m redevelopment of the railway station won instead the Large Project Award at a ceremony held in Cumbria on Friday. Other contenders for the heritage award were Thomas Telford’s Nantwich Aqueduct in Cheshire, John Rennie’s Old Tram Bridge in Preston and the 200-year-old Wigan Flight of 23 locks on the Leeds and Liverpool Canal. North West regional director of ICE Darrell Matthews said the tower was “a really interesting nomination” because civil engineering was usually associated with “highly practical things like railways and bridges” whereas Blackpool Tower is “all about having fun”. But he added: “There’s no doubting the engineering skill that went into designing and building it, so it’s a very worthy winner. The Blackpool Tower is possibly the most instantly recognisable work of civil engineering in the UK. Chris Hudson from ICE’s Lancashire branch said: “Blackpool Promenade itself is a fantastic showcase of civil engineering old and new – the piers, the sea defences, the tramway – and they’re all amazing works of engineering in their own ways. The site of the former Yates’ Wine Lodge is the perfect location for a new Premier Inn hotel in Blackpool. The original application for the site was thrown out byBlackpool Council’s planning committee in April because councillors were unhappy with the design. “The site of the former Yates’ Wine Lodge is the perfect location for a new Premier Inn hotel in blackpool. 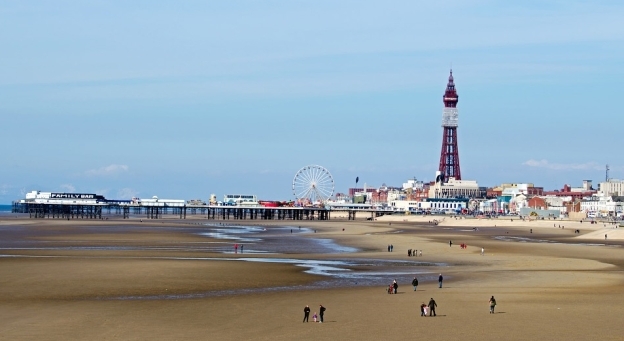 The national awards, announced by Keep Britain Tidy, have rewarded Blackpool South, Blackpool Central, Blackpool North and Bispham for their high standards of beach management, as well as their nearby facilities. It also commends the Council’s beach patrol work to help beach goers stay safe while also advising them on how to protect the local environment and keep it clean. It is the second successive year that all four beaches have been granted the award, which celebrates some of the best beaches in the country. John Blackledge, Blackpool Council’s Director of Community and Environmental Services, said: “This is fantastic news and it proves that, wherever you go on Blackpool’s coast, you’re sure of an award winning beach. 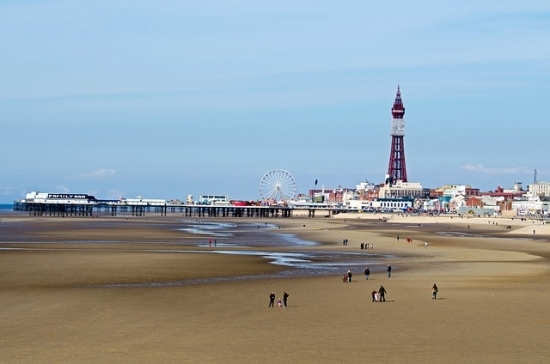 “A huge amount of work goes into making Blackpool’s beaches as clean and as enjoyable as possible, both for tourists and locals, so it’s great to see it recognised in this way. “Our council officers do a tremendous job clearing the beach twice a day to make it as clean and safe as possible, which is an incredible feat when you think just how busy it can get when the sun is out. “But a thank you is also in order for all those people who take their litter away with them after they have finished on the beach. Every set of entrance steps leading to the beach between North Pier and South Pier offers a large litter bin for beach users to dispose of their litter during and, more importantly, when leaving our beaches. “If we are to continue to win these types of awards and keep our beaches clean then we need everybody to do their bit and look after the local environment. A list of all the things that people can do to help our beaches can be found on www.lovemybeach.org. In order to keep Blackpool’s beaches clean, dogs are currently excluded from the beach between South Pier and North Pier until 1 October. At the end of 2014 just before the Christmas holidays Blackpool saw the re launch of a direct Virgin Trains service to the capital. The Blackpool to London train service is back after eleven years of absence. The previous direct service ran until it was cancelled in 2003 due to a lack of demand. The new train service will depart from Blackpool at 05:25 and is due to call also at Kirkham & Wesham, Poulton-le-Fylde, Preston, Wigan North Western, Warrington Bank Quay, Crewe and Nuneaton before arriving in London at 08:34. The return service from London Euston departs at 16:33 and arrives back in Blackpool at 19:31. At the same time Virgin Trains also introduced the London to Shrewsbury train service. 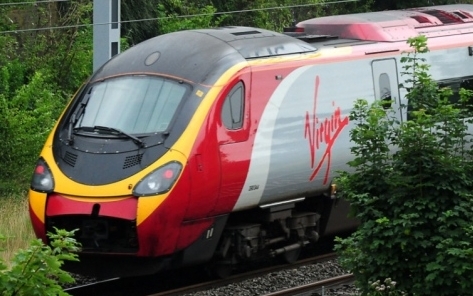 The new services are part of a range of improvements on the West Coast Main Line route that coincide with the award of Virgin Trains’ extended franchise. Secretary of State for Transport, Rt Hon Patrick McLoughin, MP and Daniel Kawczynski, MP travelled on Monday’s 0639 Shrewsbury to London departure, to mark the occasion, both having been instrumental in getting the green light for the new services. 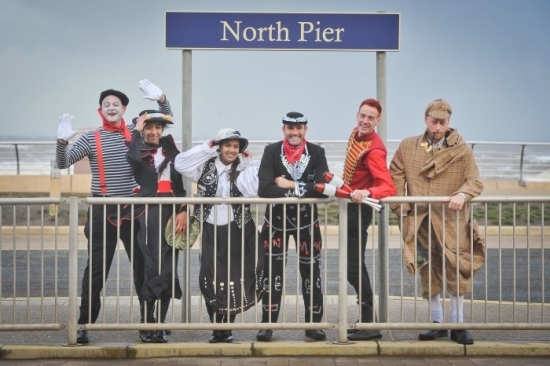 To celebrate the launch, characters including Sherlock Holmes, a Beefeater, Pearly King and Queen, and Covent Garden street performers delighted crowds on Blackpool Pier and outside Shrewsbury’s Market Hall, highlighting that travellers can now travel direct to London Euston in just 2hrs 36mins from Shrewsbury and 3hrs 9mins from Blackpool. Blackpool North will also benefit from the introduction of a daily trip to London Euston (Monday-Friday). “It’s an exciting time for everyone involved with Virgin Trains,” commented Phil Bearpark, Executive Director Operations and Projects. “With our extended franchise we are able to get back to doing what we do best, offering new journey opportunities whilst still delivering the same high standards of service to our customers. The Blackpool Gazette has quoted, Coun John Jones, Blackpool Council’s cabinet member for highways and transport to say that he was delighted by the news. “I’ve been lobbying Virgin, as well as Network Rail and the ORR for a while now about the importance of a direct train line between London and Blackpool, as I feel it will have a huge impact on the town’s economy. I’m glad that they’ve listened and agreed to put on this direct route. 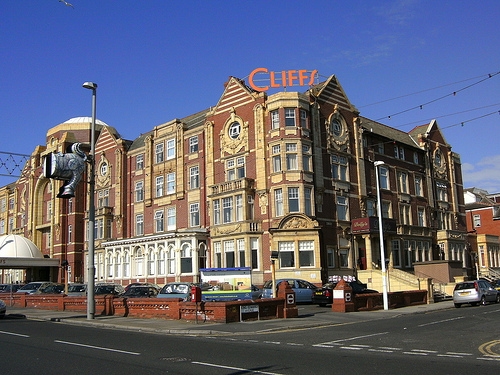 This Christmas, the kids club at the Cliffs Hotel in Blackpool will reveal a new look after benefiting from a £20,000 investment to bring it up to date with the wants and needs of the 21st century child. Officially to be unveiled on Christmas Eve, the new activities area will be named ‘Rocky Gardens’ after the hotel’s mascot Rocky the Rooster and will cater for children up to 14 years of age. The new zone includes a dedicated soft-play space for babies, an arts and crafts section, all the latest video games and an opportunity to take part in a full activities programme. Older children will now be able to take part in thrilling Nerf Gun Wars, challenge each other on interactive games on a state of the art X Box Kinnect and play on traditional arcade games that are synonymous with the resort. Tom Nelder, trainee manager at The Cliffs hotel said: “We really wanted the new kids club to be as much fun as possible. To create Rocky Gardens The Cliffs hotel canvassed young visitors to ensure it captured their imagination and catered for everyone’s needs from babies to teens. “The new kids’ club offers everyone a place to have fun, be creative and interact in a bright and safe environment. Choice Hotels is an independent family owned business which had humble beginnings when it opened its first guest house almost 70 years ago. With five hotels, three in Blackpool and two in the Lake District, its management team now boasts more than 360 years’ experience in the industry. Tom added: “The staff at Choice have all worked really hard and as a result we’re able to launch Rocky Gardens a month before we’d planned to. Blackpool Airport is cleared for take off once more after being granted its licence to fly from today. The new operating company “Squires Gate Airport Operations” is gearing up for a relaunch after the Civil Aviation Authority gave the all clear. It means the airport can resume limited commercial flights with air traffic control and emergency fire cover. It is understood that around 33 staff will be back at work at the airport from today with a full official opening and return of operations due next week. The airport closed down on October 15 with the loss of 100 jobs when operating company Blackpool Airports Ltd went into liquidation. It spelled the end for the international scale Category 7 commercial operations, such as that carried out by Jet2 which flew to 11 overseas destinations. But now Squires Gate has been set up to resume reduced services as a Category 3 airport. Owners of the new operating company, Balfour Beatty, confirmed the licence had been returned and operations were to resume next week. The news has been welcomed across the Fylde where the closure caused dismay and fears the local economy would suffer a major setback. Peter Eckersley, from Westair, which offers aviation services from its hangar at the airport including corporate flights, aircraft maintenance and flying lessons, said it was fabulous news and had come at a crucial time of year. He said: “We are absolutely delighted to have full service restored and get business back on track and to push forward. Trial flying lessons are a great driver of business for the whole airport, not just us, with fuel costs and landing fees right through the year. With many people thinking the airport is closed it could affect that business here. Fylde MP Mark Menzies, who has been lobbying ministers at Westminster for support for the airport, along with the other Fylde coast MPs, said: “The news that our airport is reopening with jobs returning to the site is fantastic, and a good first step in getting it fully up and running again. “While this is a great start we must not lose sight of our ultimate goal of getting regular scheduled flights operating from the airport again. One of the airline companies which had to cease operations from Blackpool in October was Citywing, which flies to the Isle of Man and Northern Ireland. Managing director David Buck today said he was pleased that it had got its licence back and that he would be watching developments. Rob Blower, from the Save Blackpool Airport pressure group, said: “I am pleased it’s getting its licence back, its a good start. I would be interested to know if it could get its Class 7 licence back, which would allow jet airliners to fly out from there in future. “That is what people really want. You don’t know what you have got until its gone and so many people were disappointed when it closed. Blackpool Promenade is divided into the North Shore, Central Promenade and South Shore. The North Shore lies along the lines to Bishphan from the point of the North Pier and makes its way to Uncle Tom’s cabin passing the cliffs. This was first constructed during the Victorian era and has not changed much, but continues to be one of Blackpool’s historic parts. Central lies between the North Pier and South Pier. The rebuilding of this will create Spanish steps and headlands beginning at the promenade and going down to the beach. The South Promenade has spectacular views and beautiful scenery. It stretches all the way to the Starr Gate. This is a perfect place to go on an evening stroll, view the art exhibits and simply relax in the peaceful atmosphere. Plus there is a wide range of Blackpool hotels to choose from. Considered to be one of Britain’s most popular vacationing spots, Blackpool is filled with excitement and thrill for people of all ages. Get ready to have a fun filled adventure while holidaying in Blackpool. There are a variety of attractions to see while visiting Blackpool. Visit the world famous Pleasure Beach, go on a roller coaster water slide at the Sandcastle Waterpark, get your adrenalin pumping at the Pepsi Max Big One. Take a troll through the fabulous Blackpool Zoo which houses over 1500 birds, insects and animals. 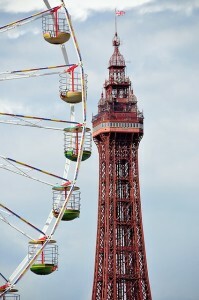 You can spend a perfect day out with your family visiting the Blackpool Tower and witness the wonderful family circus. Waltz in the amazing ballroom, meet your celebrity favourites at Louis Tassaud, go crazy with golf at Golden Isle, visit the Sea Life Centre and examine the amazing species of the ocean and swing from the Jungle Jim Tower. There are so many fun activities in Blackpool, you wouldn’t know which one to begin with. Plan your holiday between September and November, where you will get to witness an extraordinary site at the Golden Mile, which shines bright for sixty six nights. Also, make sure that you get the best deals from one of the Blackpool hotels for a more convenient and comfortable trip. If you are looking for a great place to stay while on vacation in Blackpool, Imperial Hotel Blackpool is one good choice. This is one of the luxurious four star Blackpool hotels where you can enjoy a Victorian building overlooking the North Promenade all the way to the ocean. You can visit the North Pier about 900 meters away by tram. The Blackpool rail station in the North Pier is about 800 meters from the hotel. Barcelo Imperial Hotel Blackpool exclusively provides an indoor pool, jacuzzi, sauna, gym, steam room and bar. This Imperial Hotel Blackpool is situated in the quieter area of the North Shore. Imperial Hotel Blackpool facilities include 24 hour front desk, elevator, heating, luggage, Wi-fi available per 24 hours £15, parking on site £2.50 per day, check in at 14.00, check out at 11.00, children under 2 can stay free of charge. This Beautiful Victorian hotel was first established in 1867 that long maintains its antique character combined with modern day comforts. You can visit the Health and Leisure Club where you will be offered relaxation and a range of beauty treatments. Barcelo Imperial Hotel Blackpool comes well equipped with 180 en suite rooms decorated with a traditional touch and includes television, tea/coffee making facilities. Room rates start at £114. Blackpool is a wonderful place to experience fun and adventure. 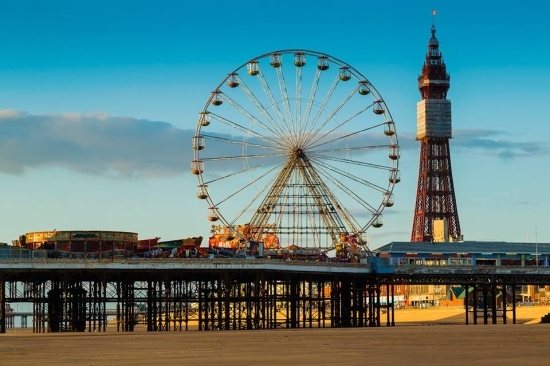 Considered as the most popular sea side vacationing spot, Blackpool is a great place to take your family or a special someone to enjoy a fun filled summer vacation. When you are visiting Blackpool, you don’t have to search for a good time. Whatever time it is, be it night or day you are only minutes away from all the major attractions. The Pleasure Beach, golden sandy beaches, the South, North an Central Piers and shops and arcades are some of the many pleasures you can experience. Blackpool, which is situated in Lancashire, is a wonderful seaside town. It has been long known as the adventure capital of the UK. It sits alongside the coast on the Irish Sea. Blackpool is considered to be a great summer vacationing spot. So, if you and your family are interested in hitting the sea front, Blackpool remains to be the very popular summer entertainment venue. There are many Blackpool luxury hotels you can stay at to give you a comforting visit. Lyndhurst Hotel Blackpool is a 3-star hotel offering versatile services to its guests – as they cater parties and activities for big groups, families, couples and even singles. You are sure to enjoy your holidays while staying in Lyndhurst Hotel Blackpool as your needs are well accommodated by their friendly staff. Whether you are planning to book for one night or for days, Lyndhurst Hotel Blackpool is always open to accept you with them. As it is a family-owned hotel, they will never fail to give you a warm welcome and provide you a cosy and relaxing stay in Blackpool.